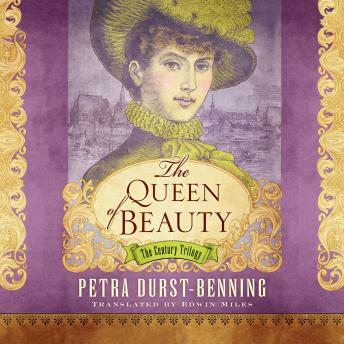 Petra Durst-Benning’s captivating historical novel pays homage to the trailblazing women of the early twentieth century—like Elizabeth Arden and Estée Lauder—who shaped culture, shattered convention, and strived to make the world around them more beautiful. Despite all that Clara Berg has achieved as a wife, mother, and chemist—especially for a woman in turn-of-the-century Berlin—ending her abusive marriage comes at great cost. The judge hands her inheritance—her parents’ pharmacy—over to her ex-husband. Now, with her reputation in near ruins thanks to the scandal that rocked her marriage, no reputable chemist will hire her. Worst of all, she has lost all rights to her young son and daughter. Only her dearest friends, Josephine and Isabelle, themselves no strangers to hardship, remain steadfast. With their encouragement, Clara decides to start over in the spa town of Lake Constance, where she creates a homemade cream and launches a cosmetics revolution. Against all convention, she teaches other women and herself how to face the challenges of each new day with confidence and beauty. Soon her renown brings prestige, professional accolades, even new romance. But through it all, her heart beats for her beloved children—will success finally bring the reunion she longs for?